The mild temperatures we have experienced certainly have been surprising. Here we are in the first week in December and all we have received in the valley is rain. A lot of rain in fact if the temperatures would have been a little bit colder that rain would have amounted to about 10 inches of snow. So we are receiving moisture it is just not the stuff that makes the winter wonderland that the snowmobilers, skiers and ice fisherman look forward to this time of the year. I have a feeling the snow will come. I am getting my ice fishing gear ready, I have already tuned up my snowmobiles and my ski gear is ready to go. For the folks hoping for a white Christmas there is no need to push the panic button quite yet. Montana can accumulate a lot of snow at any given 24 hour period. The record amount of snowfall that has fallen in any given 24 hour period is 48 inches and it happened not once but twice. The first time was on May 29th in 1982 near Highwood, which is north of Great Falls and then again December 27 2003 near White Sulpher Springs. Let’s just hope the snow gets here soon so folks can start enjoying their winter time activities. The ice making on the lakes has been hard to come by with the daytime highs in the 40’s, hardly ice making temperatures. However, old reliable Georgetown Lake has ice and anglers are having some good success catching fish. 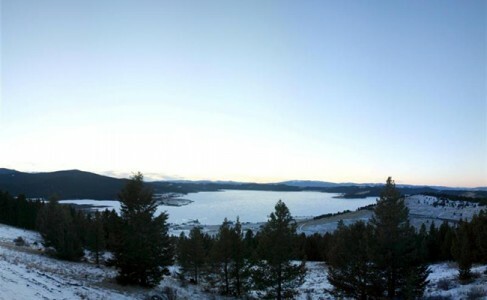 The Georgetown Lake area received a wet snow over the weekend, but as of Monday only about an inch of snow was on the ground. Discovery Ski area is also open with limited skiing on the weekends for now. West of Missoula, Lookout Ski Resort is now open Thursday through Monday with 2 of 4 chair lifts operating according to their website. Whitefish Mountain plans on opening, Saturday, December 8th, according to their website. Blacktail Mountain, near Lakeside, is looking to open soon as they have been receiving snow on a daily basis. Montana Snowbowl still needs more snow to open as does Lost Trail Ski Area. So keep our fingers crossed and maybe think about doing a little a snow dance. Waterfowl hunters both duck and goose have been hitting the ponds and rivers with mixed success. The hunting should get much better with the help of some colder weather. The Montana wolf harvest has been a disappointment so far with 87 wolves taken as of Wednesday, according to FWP. This year the season is open till February 28, 2013. Trapping for wolves is scheduled to start Saturday, December 15th.